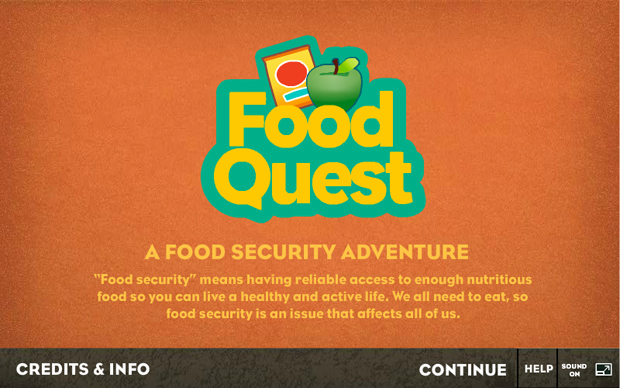 Food Quest raises awareness about the complex connections between food security, chronic disease, and poverty. 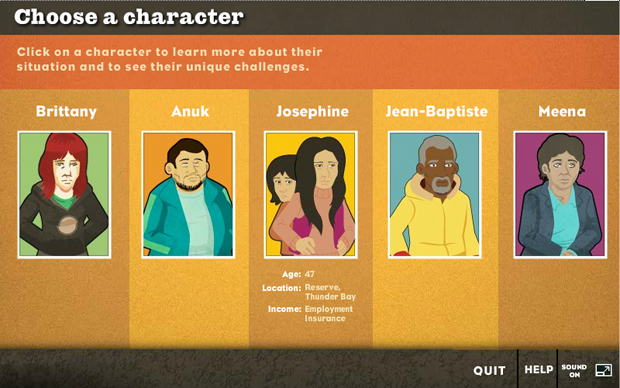 Players are asked to choose from one of five characters who face different barriers to affordable, nutritious food. 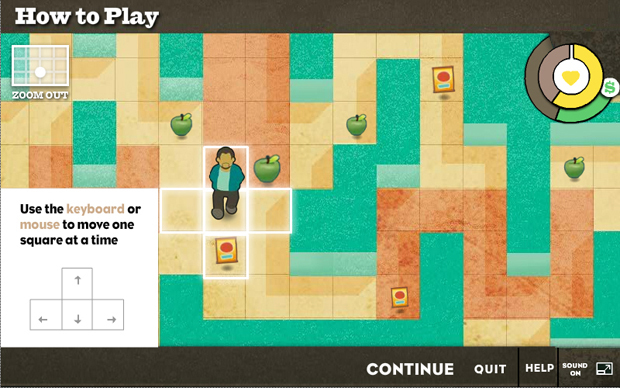 The game is nearly impossible to win the first time through, but after this, players can choose to implement a change to physical or economic access in order to make the game more winnable. 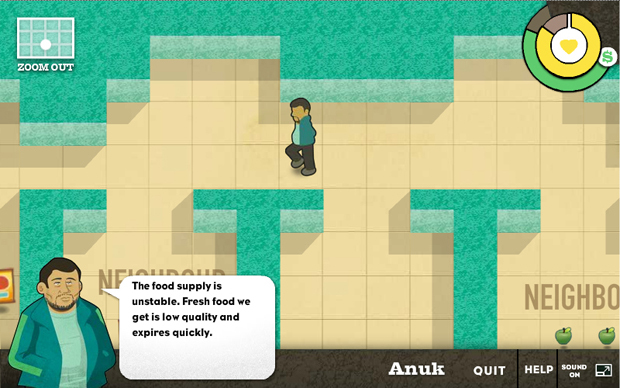 It will be used in a facilitated, community-based context to promote conversations about how food security can be improved locally. 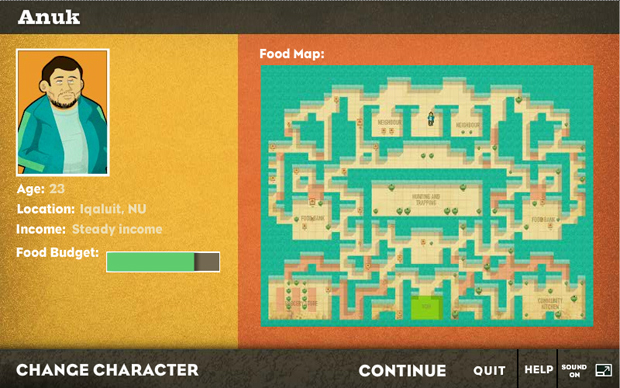 Food Quest is currently in beta testing. 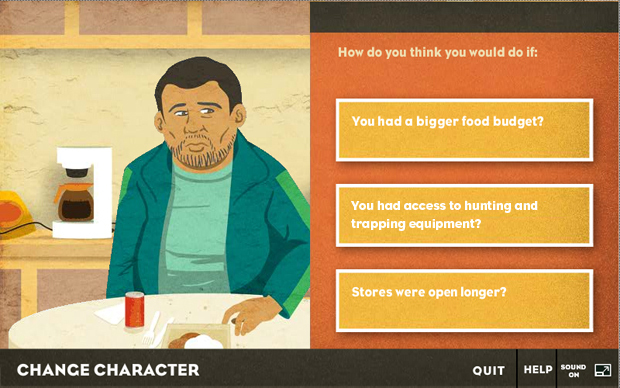 If your group is interested in using Food Quest in its work, please get in touch. 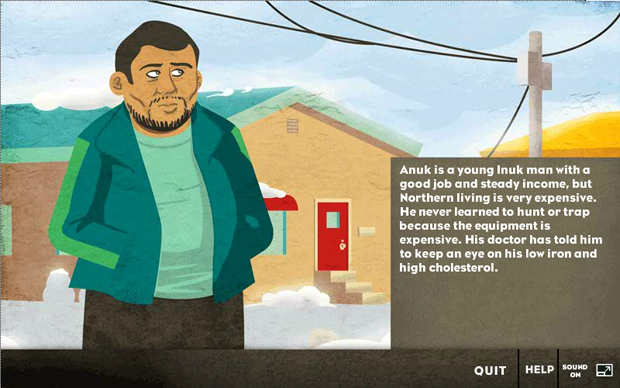 Client: The Food Security Knowledge Initiative/Public Health Agency of Canada. Sound & Music: Ivor Stines.